In May 1995, a permanent exhibition about Albert Einstein, prepared by Ze'ev Rosenkranz, the Archives' curator from 1989 to 2003 was opened in the Berman Hall of the Jewish National and University Library. In the wake of the permanent exhibition Rosenkranz decided to publish an accompanying book to which he gave the title "Albert Through the Looking Glass". This album was published in 1998 and was the first book publication originating at the Albert Einstein Archives. It presented a glimpse of the Archives' treasures in front of the background of Albert Einstein's life. The book was published in hard cover, although a soft cover was later also produced. It sold very successfully, and, although only sold in Israel, was sold out by 2006. 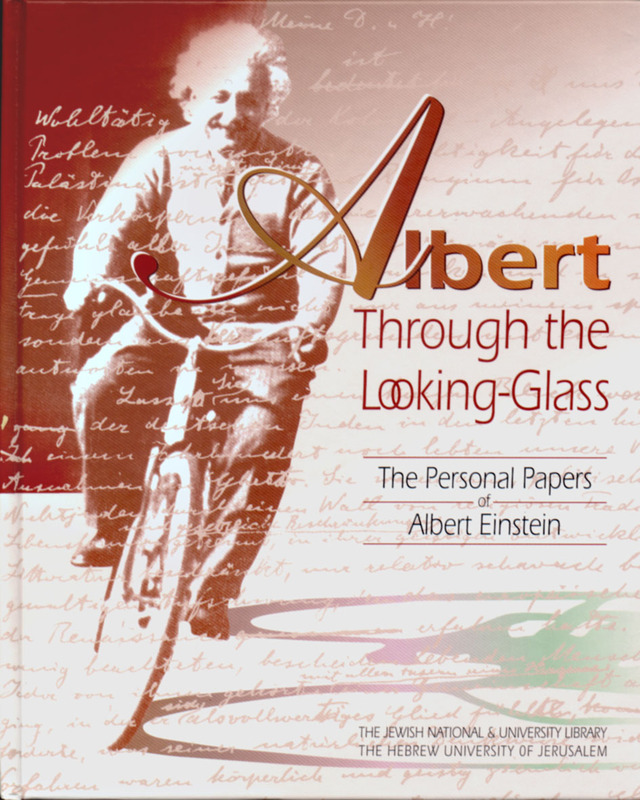 "Albert Through the Looking Glass" was based on a selection of documents and photographs from Albert Einstein's personal papers and provided a kaleidoscope through which to perceive the famous "Person of the Century". Many items were published in the book for the first time. The album was geared to the general public as well as Einstein experts and enthusiasts alike. The selection of Einstein’s papers tried to reflect the complexity of his character and the exceptional quality of his genius. It also showcased the Albert Einstein Archives as the repository of these papers, which, at that time, were housed at The Jewish National & University Library at the Hebrew University of Jerusalem. Einstein was one of the founders of The Hebrew University. His special relationship to this institution found a lasting expression in the bequest of his literary estate and personal papers to the university in his Last Will and Testament.